Writing a blog is one thing. Earning while doing it? That’s another story. And like every travel blogger will tell you, it’s hard business – but not that hard if it’s really your passion and you have the drive to stick to it since the first months leading to a year is the most difficult phase of starting a travel blog. In this short and sweet article, we’ll show you the basic steps to follow for starting a travel blog. It’s crucial to do them in order as they are the foundation for creating a successful travel blog. Here we go. Start by thinking of a niche and naming your blog. The name of your website is a vital branding consideration, but start off by finding your niche, which will define what the blog’s whole goal is about. Travel in itself isn’t a niche. It is a subject and not very focused, so you need to narrow it down for the purpose of your blog. Picking a niche should come naturally to you. Think small. Pick an aspect of travel that you enjoy. Solo travelling, there’s a lot of that. Adventure? Too much of it. Budget travelling? A lot as well. Female solo travelling? It’s popular yes, but the market is saturated. Are you going to be an expat in Japan? Just be a travel blogger for expats travelling to Japan. Love spelunking? Write only about spelunking. You wouldn’t want to be a small fish in a pond of huge ones who dominate it. Instead of flailing for the first couple years like most travel bloggers do, start by choosing your corner and dominate it. An engaged audience of 1,000 who really likes your blog is much better than 10,000 who don’t really care about what you’re blogging about. After picking your niche, the next is choosing a name. Jot down your ideas, then narrow it down. The name of your travel blog must be unique, memorable, and easy to spell. You need a name that you can easily use as a brand without the need to explain. Ensure that the domain name you’ve chosen is available. The domain name is the address people will type into their web browser to reach you. After you have a domain name, you’ll need web hosting. Think of it this way, if your domain name is the address, your web host serves as the actual apartment that you rent. Your web host must be dedicated, well-versed in the online industry, and have been around for a good number of years with good track record. Choose website hosting from Crazy Domains to take advantage of an affordable and scalable hosting service with great customer support to back you up every step of the way. The next step is to install and set up WordPress. As perhaps you already know, WordPress is a software that your website will run on. 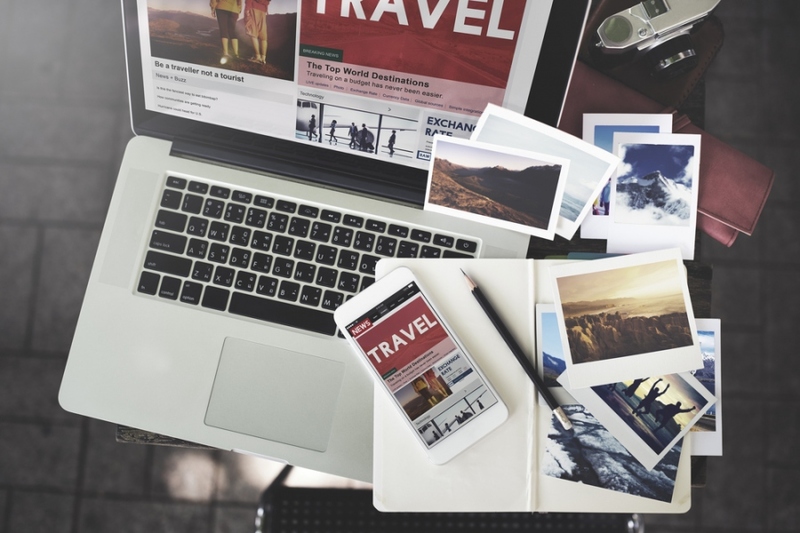 It displays the content of your travel blog, and it has a backend where you write and publish your blog posts, upload photos, adjust the look, and change settings. Millions use it and there is a huge community support for it. It was specially designed for blogs. What’s great is that Crazy Domains allow WordPress integration for your travel blog. If you ever get confused in any step here, a web domain/hosting provider you choose should be able to quickly assist with your concerns and point you to the next step up until the time you have a running travel blog. Best of luck! Next : How To Сrush It On Сouchsurfing?